What does the bible say about dressing appropriately? What is the purpose of the high priest breastplate? Judgement Day Bible – What will happen on judgement day? 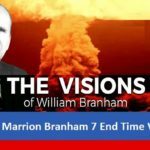 The End Time Message is the Signs of the End Times by the Elijah Prophet William Marrion Branham who Revealed the Seven Thunders of Revelations of the Bible.